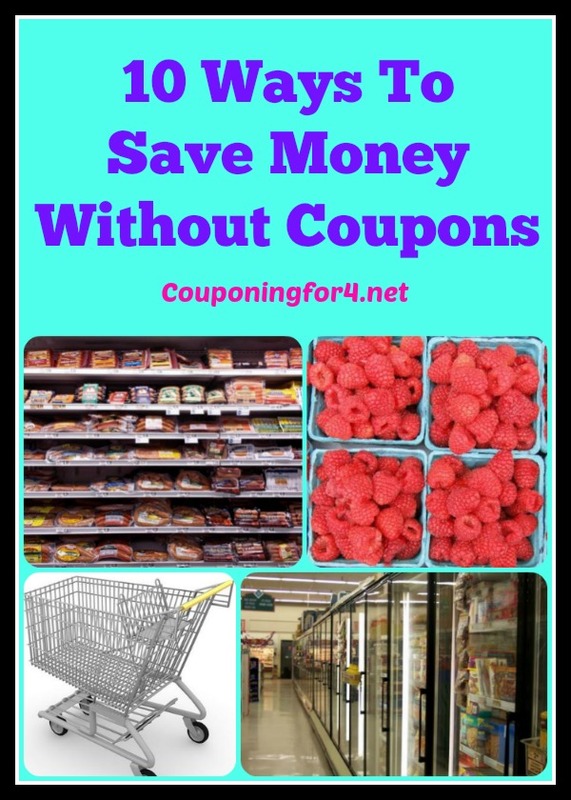 I talk about coupons a lot, but let’s discuss the other side of the coin for a minute – 10 Ways To Save Money Without Using Coupons. Not a fan of coupons? You don’t need to use them to get great savings. Here are some ways to save without them! Shop the loss leaders. The first page of most store circulars list the savings that they hope will draw you in. Particularly at grocery stores, these are often excellent prices or “loss leaders” – named because the store leads with the items to get your attention and possibly takes a loss or breaks even on their cost of the item. Pay attention to special “One Day” or “Three Day” sales at your local store. These are often deeply discounted items and can help you save huge. Check the clearance shelves. You never know what you’re going to find at a great price! Take advantage of Buy One, Get One Free sales. These are great opportunities to pick up vitamins and other household or grocery items on the cheap. Start a garden. If you can plant and grow some of the herbs, fruits and vegetables that your family consumes, you’ll save quite a bit! Buy in bulk. There are items that you can buy at stores like Costco and Sam’s Club that will stretch your budget further. I use my Foodsaver to separate out groceries like nuts, deli meat and cheeses to make them last longer. I portion them in three or four separate Foodsaver bags, date them and stash them for later. Shop at discount stores. Going to stores like Aldi and Big Lots that have everyday discounted groceries and household items can help keep costs down. Buy generic when you can. Often times you’ll see a brand name item on sale AND have a coupon, but the store brand is still cheaper even after the coupon discount. Don’t use the coupon, go for the generic! Sign up for store loyalty programs. CVS, Walgreens and many other stores offer a loyalty program when you register your phone number and/or email address with their store. When you scan your card/enter your phone number at the register, you will often get savings just for having that relationship. Don’t shop. If you don’t need anything, keep your money exactly where it is! Ready for more couponing tips? Find those here!